Although AMD is far behind Intel in terms of CPU performance the US chip maker is doing really well in the field of high-end gadgets and video cards. 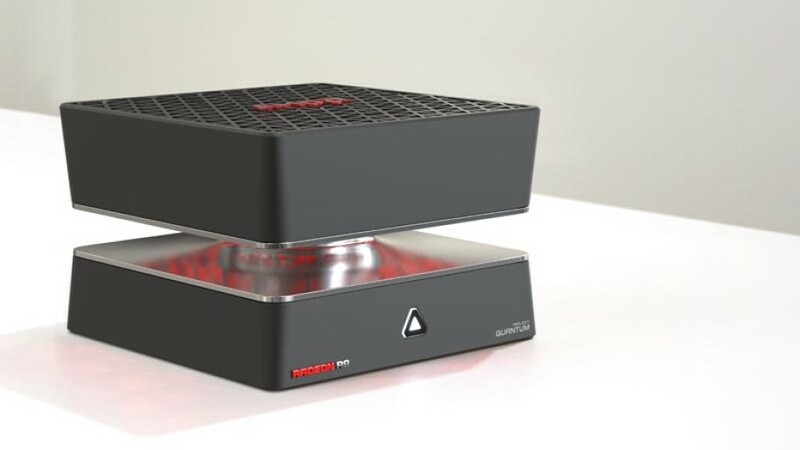 Last year AMD presented Project Quantum – a really high-end gaming device – but much to the dismay of on-lookers Project Quantum came with a fast Intel Haswell chip instead of an AMD processor. Well, AMD may fix this really soon. It turns out that there are plans for a new version of Project Quantum. This time, however, AMD will stick to its own hardware and instead of an Intel chip the updated Project Quantum device will have a Zen processor inside as well as a next-gen Vega GPU with HBM2 memory. This means that we will not see Project Quantum 2 any time soon but the device is worth the wait. Of course it is way too early to talk about any release date or pricing but we will not see the new Project Quantum before late 2016 or even early 2017. What do you think of the new device?